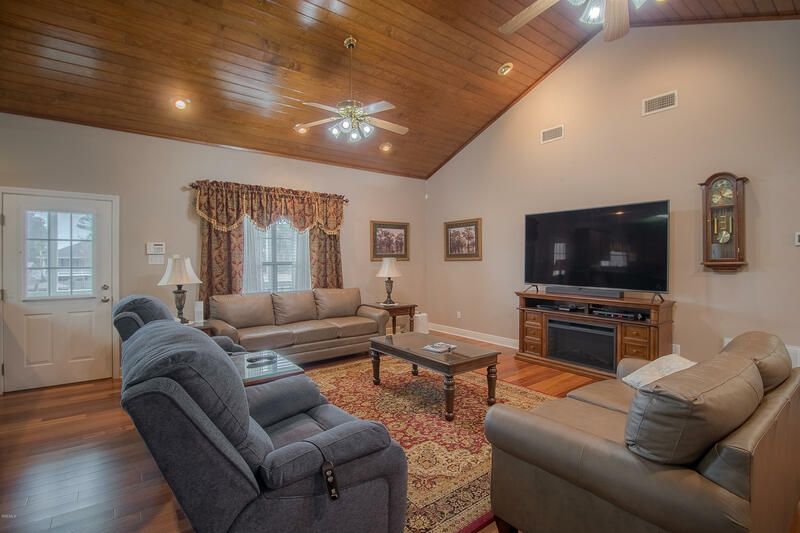 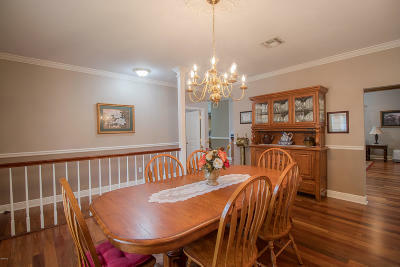 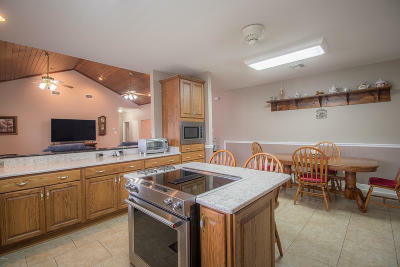 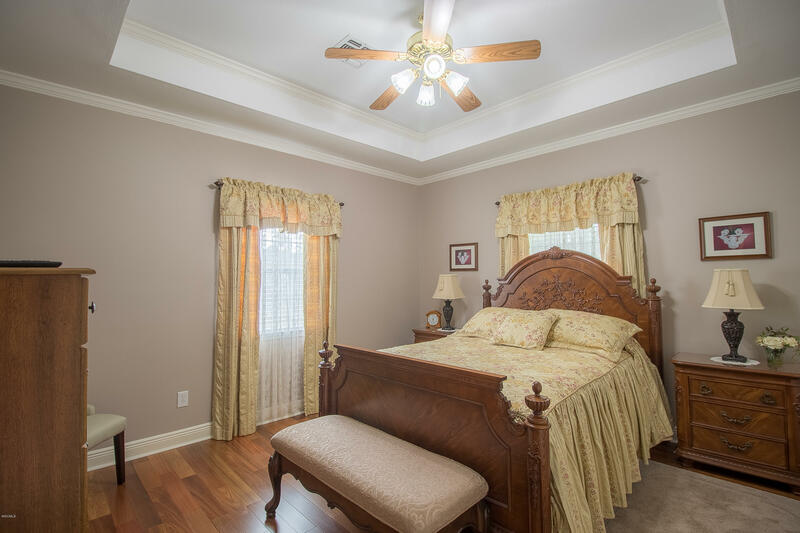 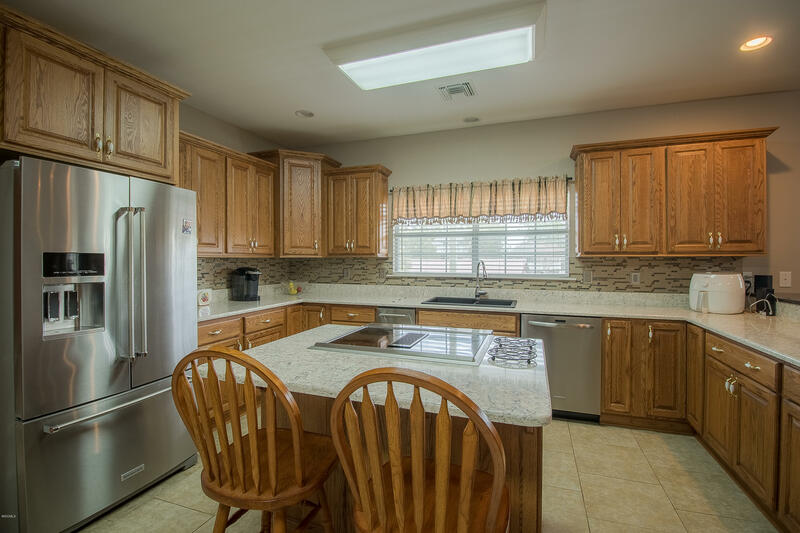 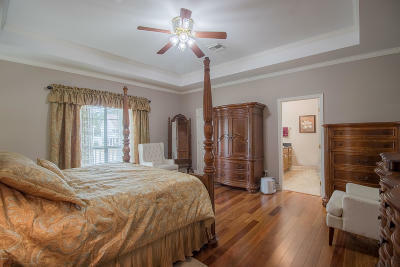 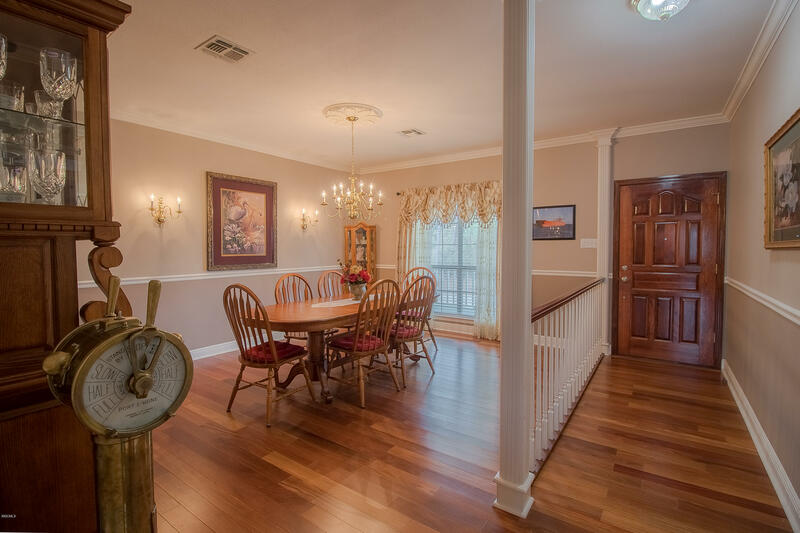 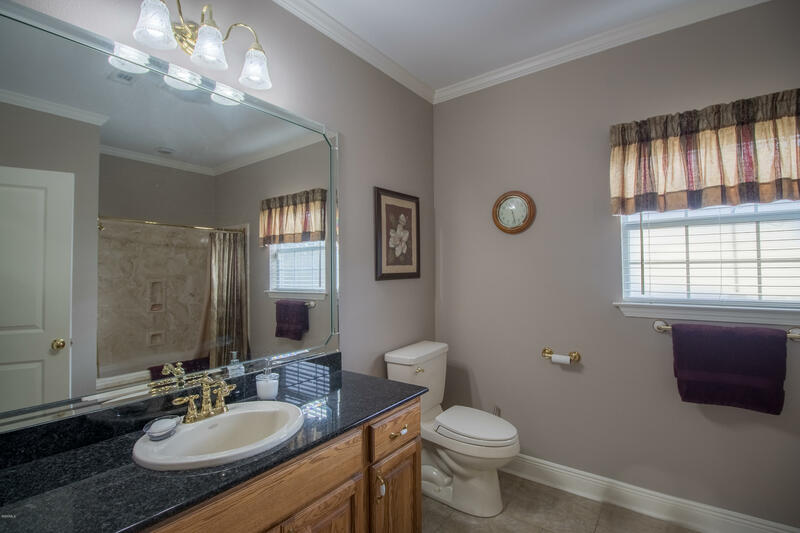 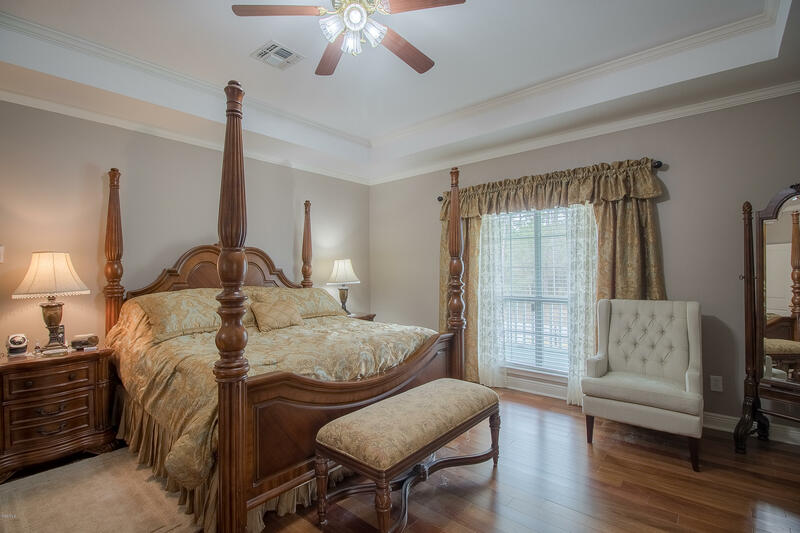 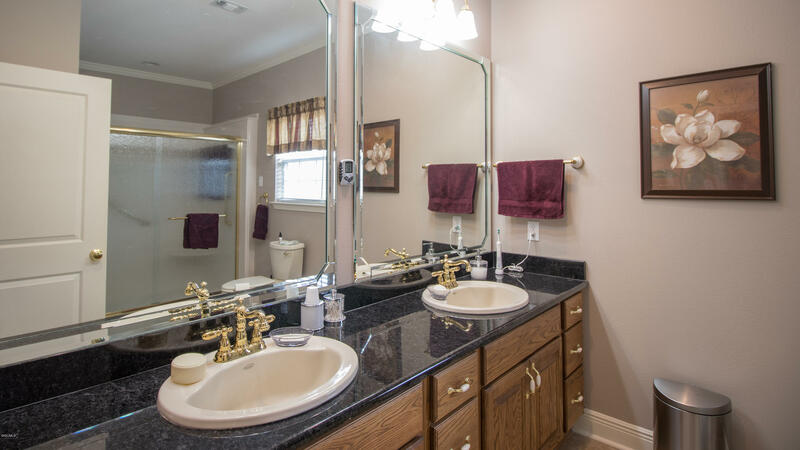 This perfectly maintained and updated home has it all. 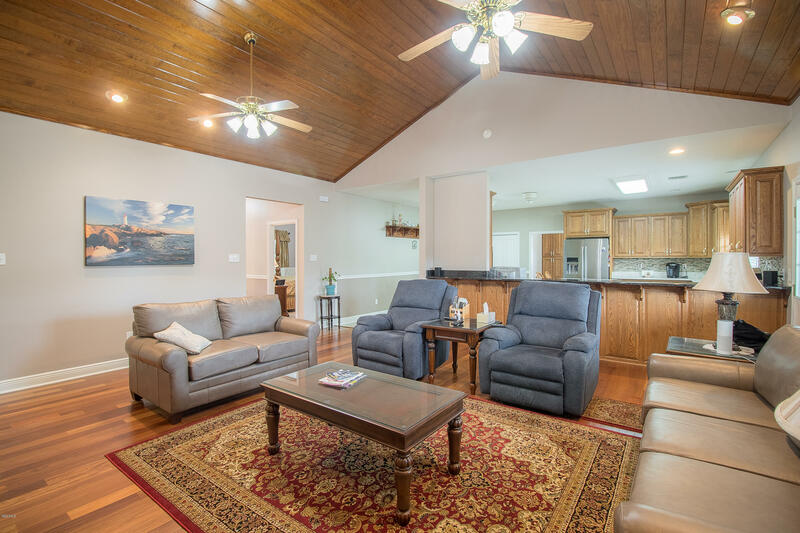 Beautiful light and bright open floor plan, with covered porches on front and back. 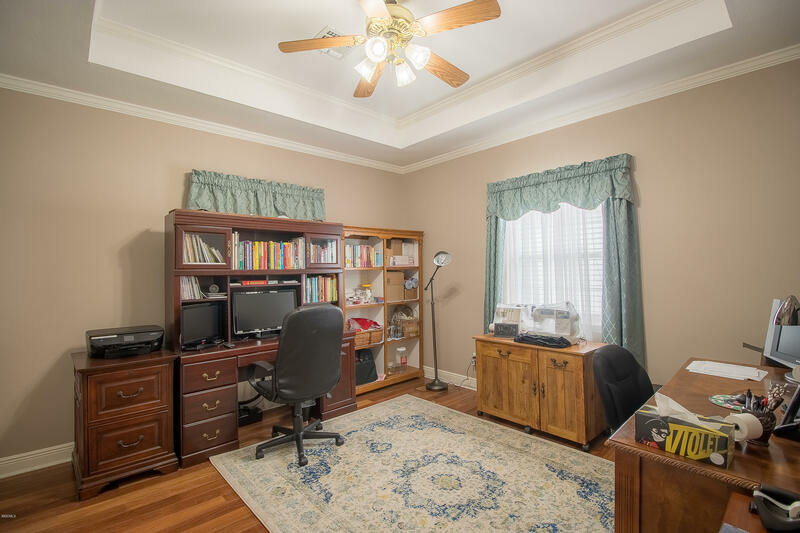 Split bedroom plan, large eat-in kitchen with separate utility room and pantry. 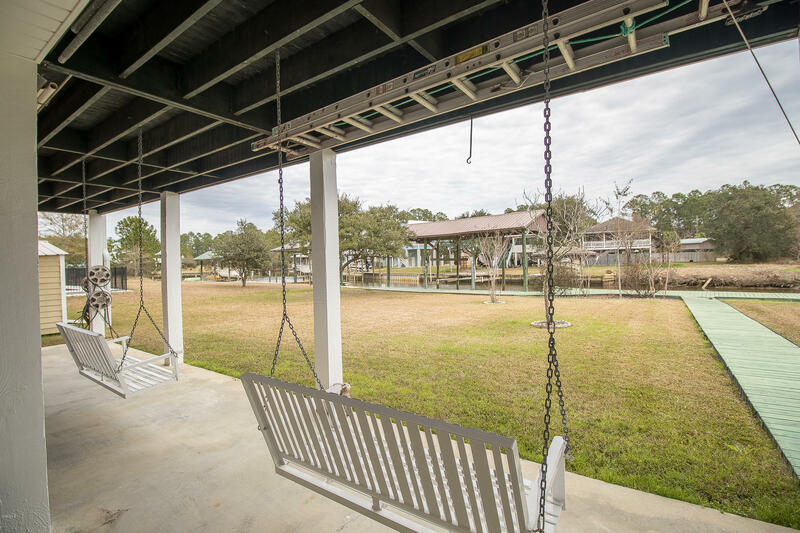 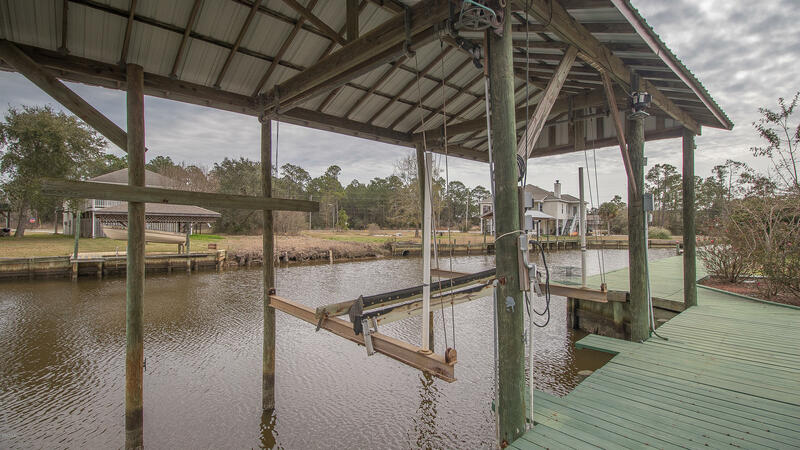 Outside is 120 ft of waterfront, bulkheaded, with a 10,000 lb covered boat lift. 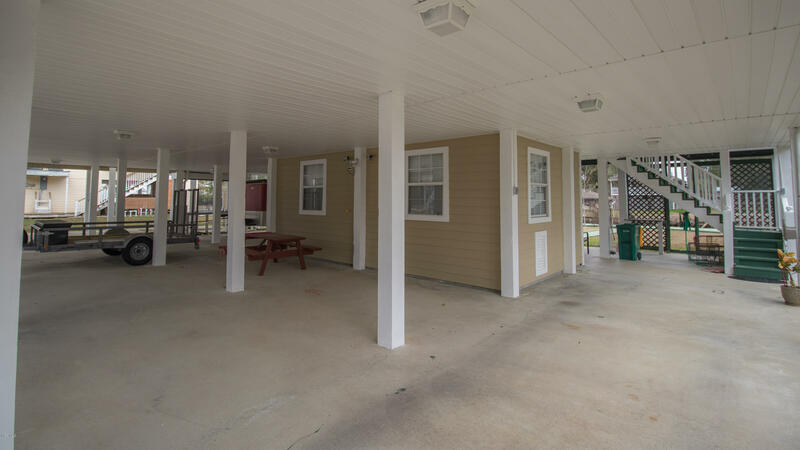 There is a separate 16 x 44 R V shelter with power and a sewerage dump station. 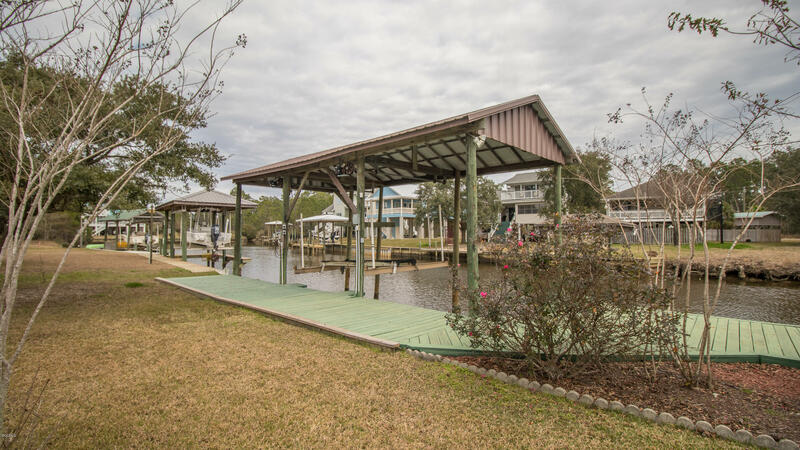 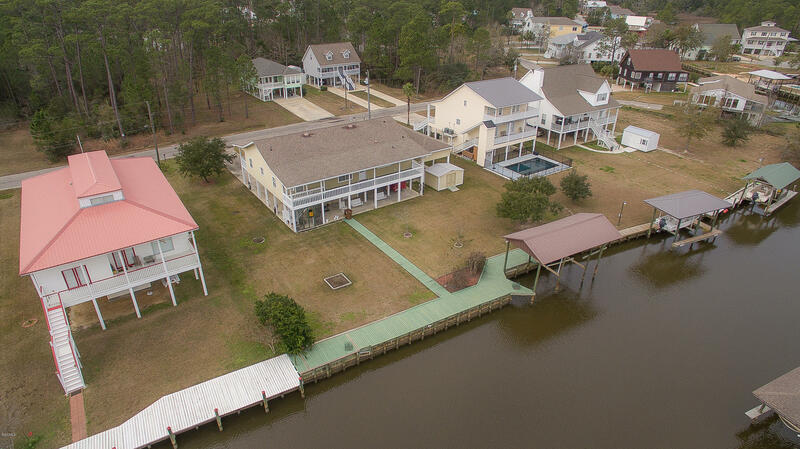 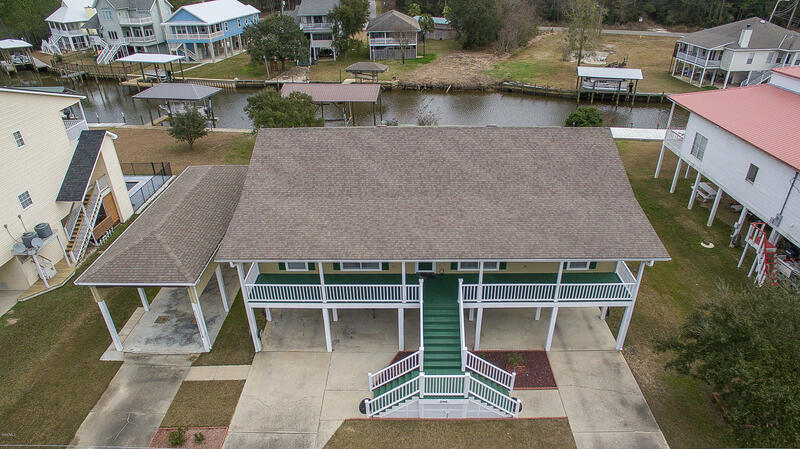 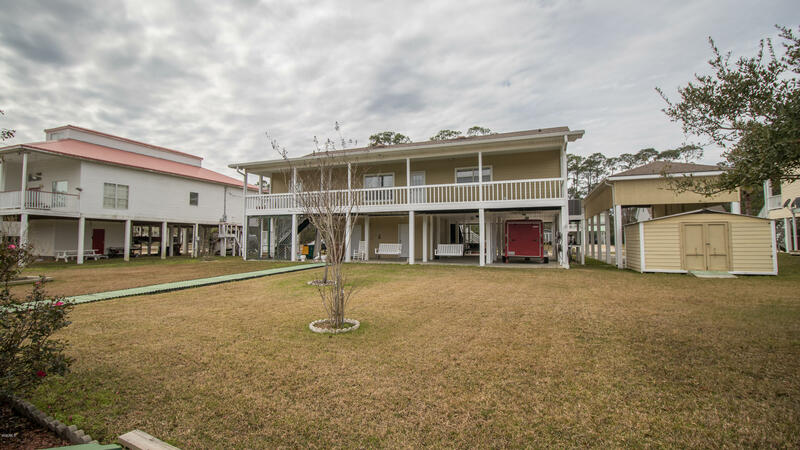 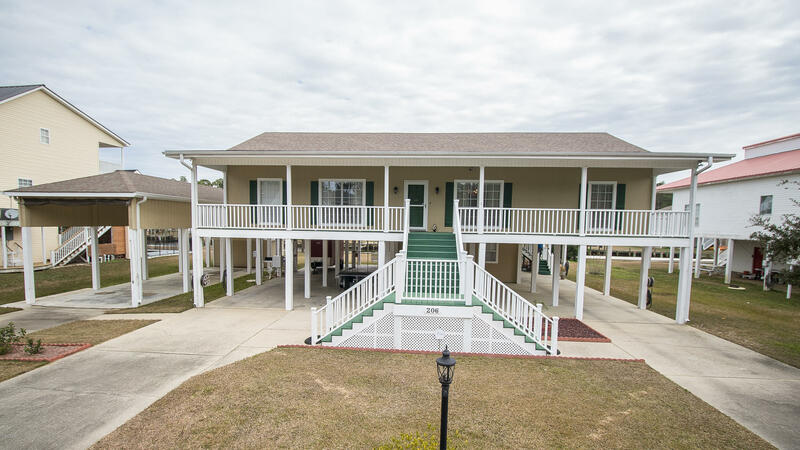 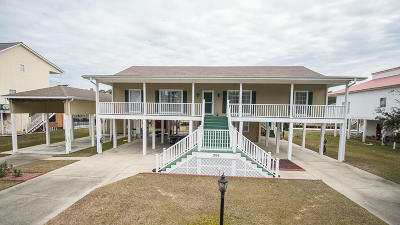 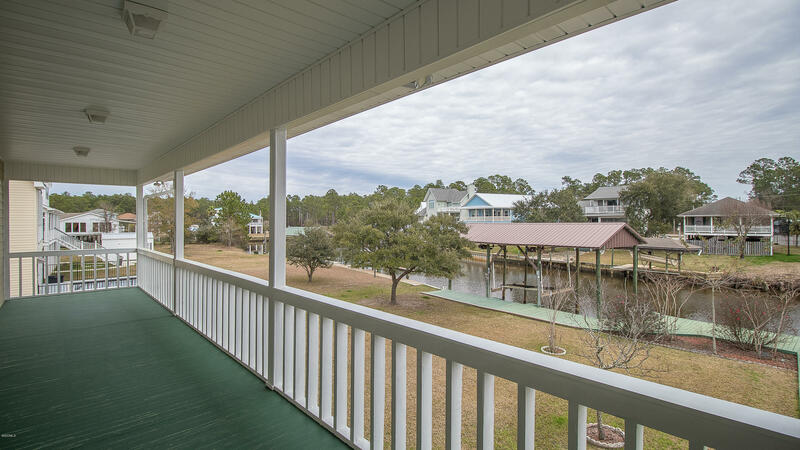 This home truly has everything all on a double lot just minutes by boat to the bay in a subdivision with golf, pool, tennis courts and a private bayfront park and boat launch.